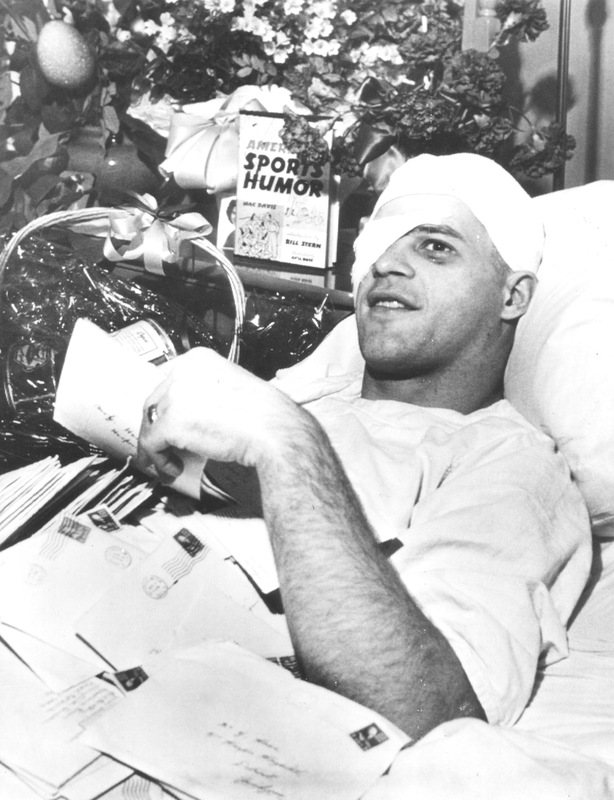 While Howe recovered (and, above, tended his mail) in hospital, Detroit went on without him to beat Toronto in seven games. 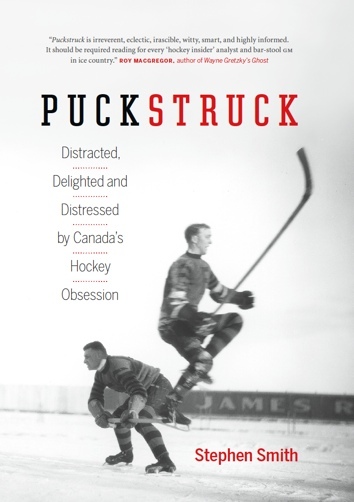 They did the same to the New York Rangers to win the 1950 Cup, the Red Wings’ first since 1943. “As close as I came to shuffling off into the sunset at the tender age of 21,” Howe narrates in My Story, “I bounced back relatively quickly from surgery.” He joined Detroit for training camp that fall, donning a helmet, if only for a short spell, on the advice of his doctors.